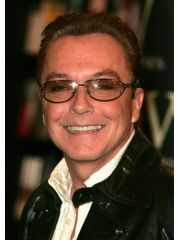 David Cassidy and Sue Shifrin filed for divorce on February 11, 2014. They have been married for 28 years and filed for divorce 5.2 years ago. Where and/or how did David Cassidy and Sue Shifrin meet? Sue located David through his attorney. Why did David Cassidy and Sue Shifrin break up? David and Sue have been separated since the year 2000. David stopped wearing his wedding band in 2002. The couple have had a rocky marriage ever since. Sue refuses to get a divorce and David will not leave her. She is currently under investigation in England for illegal sales actions.